People often wonder how it is possible to use the Tracks4Africa Overland Navigator App off-line (without an internet connection) on their iPad/iPhone, Android phone or tablet. 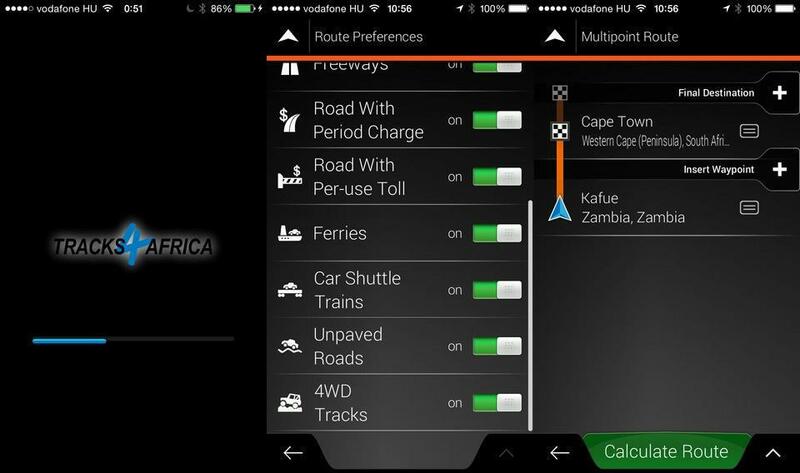 This app is the Android and iOS versions of the Tracks4Africa GPS maps which has been used by travellers for more than a decade to safely navigate them across Africa. It covers the whole of Africa. Unlike online services such as Google Maps, where you constantly require an internet connection to download the maps as you drive, the T4A apps make use of offline maps. In other words, the maps are installed onto your device; hence you do not need an internet connection to download maps as you drive. The Tracks4Africa maps are designed to enable you to navigate through remote areas where there is no cell phone reception or internet available. This means that your device cannot rely on Wi-Fi and 3G to determine your location; it must have a GPS facility installed. The term Location Services is used to describe the ability of a device to determine its location. How your device determines this depends on the model you have as well as the availability of cell towers, Wi-Fi and GPS signal. Most people don’t know if their electronic device utilises Wi-Fi, 3G or GPS to determine location. Note that these devices will be able to provide your location when connected to the internet, even if they don’t have a built-in GPS. However, if you want to be able to determine your exact location while you are off-line (typically while you are travelling remote areas) your device needs a GPS built into it. You can set your route preferences and create a multi-point route on your app. GPS stands for Global Positioning System; the system comprising a spread of satellites which orbit the earth and transmit their location and time to GPS receivers on the ground. These receivers are commonly built in to many modern cell phones and tablets/iPads (as well as dedicated GPS units themselves). Thus any GPS equipped device is capable of receiving signals from orbiting satellites and when it has line of sight to three or more satellites it will be able to determine your exact location. Your GPS receiver does not require access to the internet or the network of cell phone towers in order to receive the signals from the satellites. What is Wi-Fi and 3G? The term 3G is commonly used to refer to one of several cellular connections, which include GPRS, Edge, 3G, H, 4G, etc. If you do not have a GPS in your device or you are indoors and no GPS signal can be accessed, your device might still be able to find your location by means of Wi-Fi or cell tower information. Each cell tower has a known location and the cellular connection modem in your device can determine which cell towers are available and based on triangulation, will calculate your approximate location. Finding your location by Wi-Fi is similar but often less accurate. The general rule is that when you have access to internet or Wi-Fi on your device, then an approximate location can be calculated without having a built-in GPS. Does my iPads/Tablet have GPS? If you want to know your exact position on the T4A GPS map, you will need a GPS receiver. Always ascertain that the device you want to buy has a GPS facility. With regard to Apple devices, there are basically two groups of iPad models, those with Wi-Fi and 3G and those with only Wi-Fi. Apple has packaged their devices such that all iPads with 3G also have a built in GPS receiver. The Wi-Fi only iPad does not have a GPS receiver (and can only determine your approximate location when in range of a Wi-Fi network). Generally even the cheapest Android tablets come with GPS. You should, however, read the specification to ensure that your intended purchase does indeed have this facility. 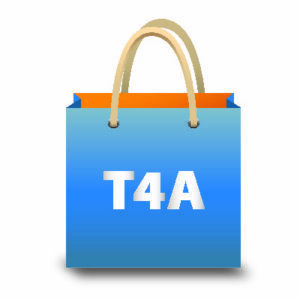 Note that the T4A Navigator App is designed to function on the Android platform specifically and not for instance on Windows. The T4A Overland Navigator App for iPad/iPhone is available from iTunes and the Android app for your tablet or smartphone from Google Play. Get yourself one before you go on holiday! 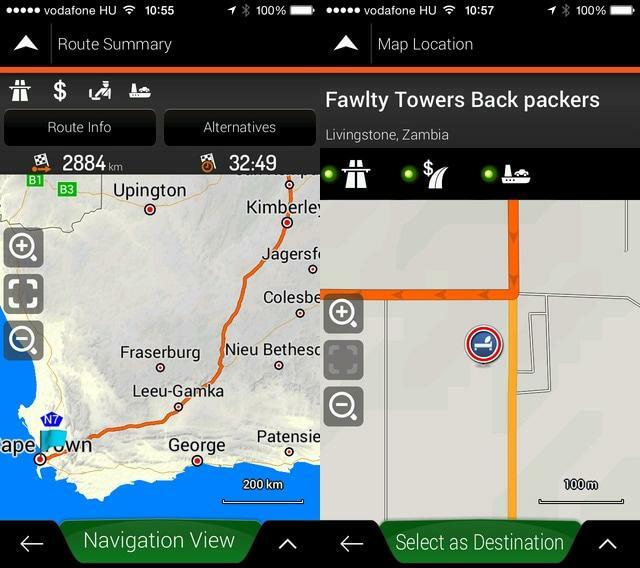 The T4A Overland Navigator App uses the same base map information as the T4A GPS maps. I have a wi-fi only ipad air 2 but I recently purchased a bluetooth Garmin GLO gps (about the size of a matchbox) that sits on my dashboard and shows my position on the overland app. It accesses the American gps as well as the Russian GLO satellites so coverage and access time is greatly improved – works really well.